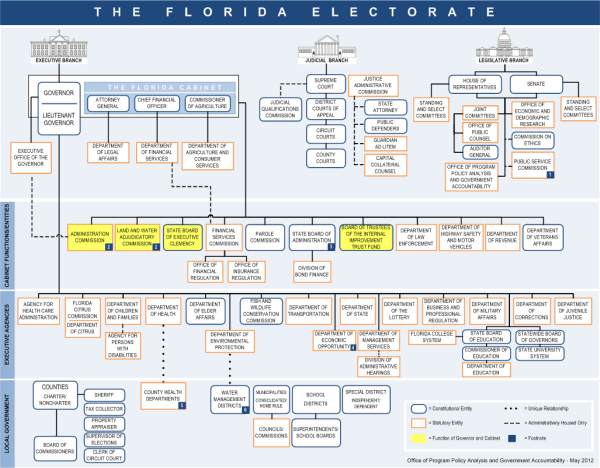 Government Program Summaries make it easy to find information about state government through the “State of Florida Organizational Chart.” The chart shows major government agencies, commissions and boards, as well as the judicial and legislative branches. The Florida Cabinet and Constitutional entities are also included. All entities are linked to either their GPS summary or unique web site.